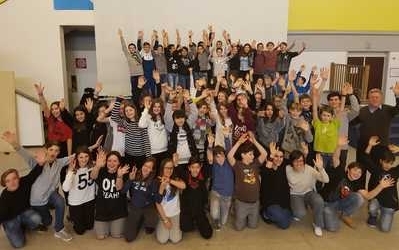 Two schools, in two small towns in Syria and Italy. Two groups of kids of the same age, similar in their enthusiasm and spontaneity yet with different sensitivity and habits. 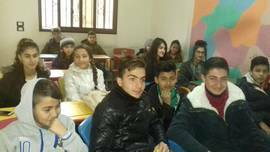 The first ones, students of an English school in the city of Qamishli, smile at us, proud in their simple room – aware of being part of a unique project, that will allow them to broaden their horizons. 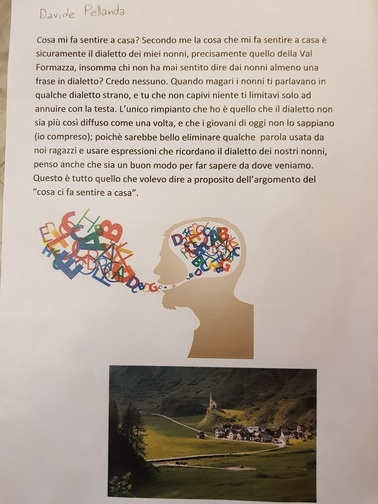 The second ones, students of a junior high school in Domodossola, constantly absorbed in a communication network in which it is not easy to orient oneself, are discovering what it means to have their same age and live in a country that is at war. These kids began to reflect. What is the past? Why should someone study it? What does "past" mean for us, which are the traditions that keeps us bound to previous generations? And why is it important to protect these tradition together with the territory where they originated? They are pondering, and writing. They are exchanging their thoughts, finding out together with their educators how different their sensitivities are. Here are some excerpts from the essays written by the Syrian students in these first months. Their profundity is truly impressive and touching. And this is just the beginning..
"My name is Diana Housein Khalil. I am in the 9th grade, in Zaki Arsouzi School in Qamishli. I live in Qamishli, but originally I am from Habbo Village where my grandparents live. In my village, there is an archaeological Tell and my father says that archaeologist, both Syrians and international, wanted to excavate in it. 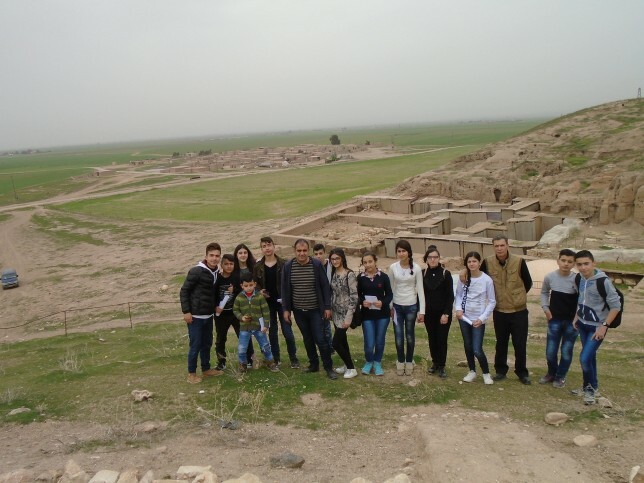 And in our area, there are many archaeological sites like Tell Beydar, Tell Mozan, Tell Halaf and Tell Leilan. My father said that there are archaeological Tells in almost every village, which is a sign of a great civilization that thrived in the area thousands of years ago, And this makes my area a very important area from the historical aspect, even if currently it does not have a the most beautiful landscapes..."
I consider my area a beautiful one, full of archaeological monuments. And my village is very close to these sites. Every archaeological site in my country have a special place in my heart. And this is the only way we can learn about our history which is very important to know about in order to advance..."
"There are two "types" of things that make me feel at home, but they are two opposite poles and it seems really strange to me!